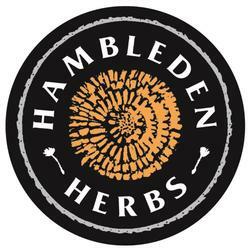 Based in Cambridgeshire Hambleden Herbs is a long established organic brand with a reputation for high quality products and efficient, friendly service. Our products have won many awards over the years, a recognition of the quality of the Soil Association certified organic herbs, spices and teas which have always been our specialty. Our Products are available through our wholesaler network, direct from us as well as online via our website. Please contact us to discuss distribution and pricing in more detail. Tea’s and Infusions, our range of 16 organic teas and infusions includes both traditional single variety infusions and exciting, contemporary blends. Culinary Herbs and Spices, From Allspice to Vanilla Pods, our range of over 40 culinary herbs and spices includes kitchen essentials and specialty ingredients alike. 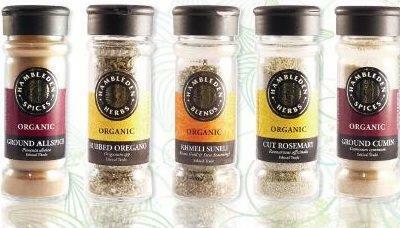 Culinary Blends, A choice of 4 blends from Hambleden Herbs. 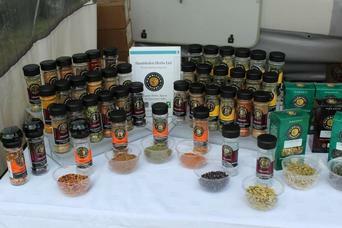 ​Russian Tmin – Highly Recommended in the Soil association Food Awards 2012 – Sauces and Ingredients Category, Seafood Rub and Chilli Pepper Mix. Always have a ready blended mix to add to stews, roasts and salads. ​We also do a Christmas selection, Organic Mulling Spices and Frankincense and Myrrh.